Who is Mary T Newport MD? Mary T. Newport, M.D. became a messenger in 2008 when she found a nutritional intervention that supplied ketones as alternative fuel for the brain for her husband Steve Newport with early-onset Alzheimer’s disease. Steve responded dramatically to consuming medium-chain triglycerides (MCTs) from coconut oil which produce ketones when consumed. Two years later he improved again in a pilot study of one person consuming the Veech ketone ester…this ester added twenty more months of stability. Together these solutions gave him nearly four more better-quality years. Dr. Newport grew up in Cincinnati, Ohio, attended Xavier University for pre-medicine, and graduated from the University of Cincinnati College of Medicine in 1978. She trained in Pediatrics at Children’s Hospital Medical Center in Cincinnati and completed her fellowship in neonatology, the care of sick and premature newborns, at the Medical University Hospital in Charleston, SC. 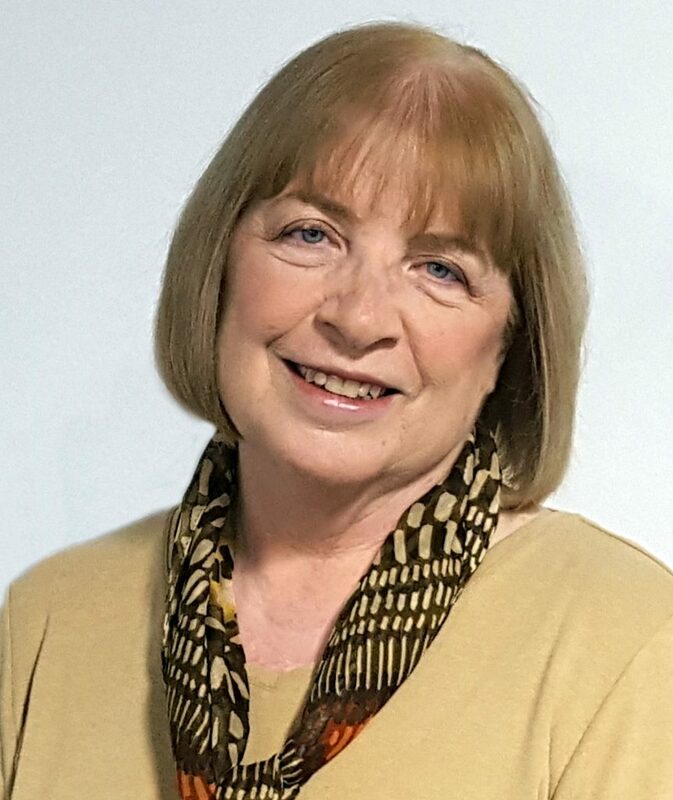 She practiced neonatology in Florida for 30 years and served as founding medical director for two newborn intensive care units in the Tampa Bay area. After taking some time off to care for Steve, she resumed medical practice at the opposite end of the spectrum and now makes home visits with people who have chronic conditions. Dr. Newport was married to Steve Newport in 1972 and they have two daughters and a grandson. Steve lost his battle with Alzheimer’s and Lewy body dementia in 2016. 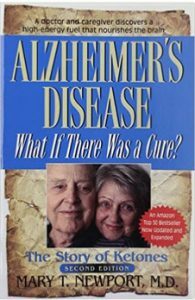 To carry on his legacy, she remains a fervent messenger for ketones as an alternative fuel for the brain for Alzheimer’s and other disorders. She is author of three books and an international speaker on the subject of ketones as an alternative fuel for the brain. Interviews with pioneers and rising stars in ketone research, history, science, diet guidelines and planning, recipes and resources. 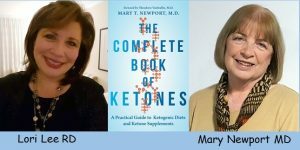 Dr. Mary Newport’s newest book, The Complete Book of Ketones: A Practical Guide to Ketogenic Diets and Ketone Supplements is available for pre-orders from Amazon, Barnes and Noble, and Indie Bound and will ship on February 19, 2019. 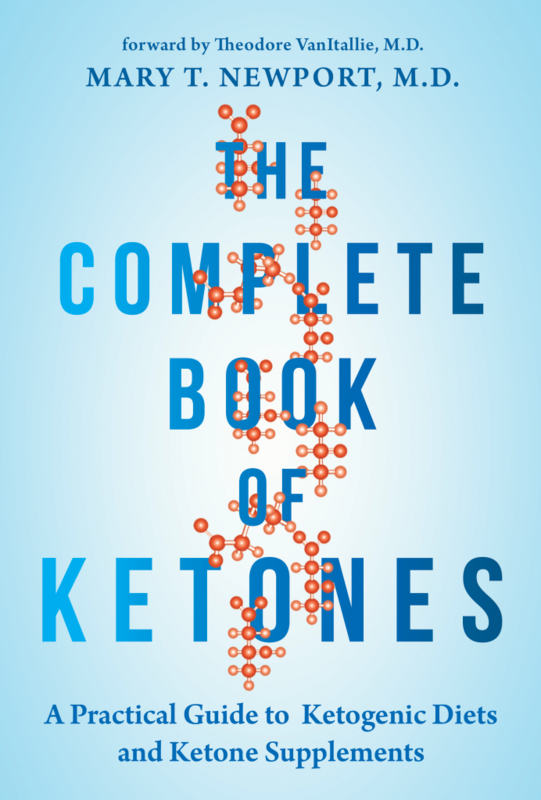 This book explains what ketones are and how they work, details the role of ketones in evolution, the history of ketone research and ketogenic diets through the eyes of the pioneers and rising stars in this field, and provides practical step-by-step information to plan a low-carb ketogenic diet. New Audio Book February 2019! 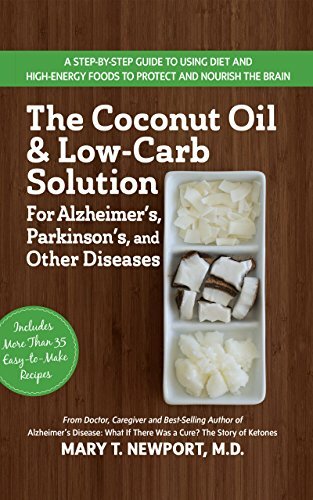 Her second book, The Coconut Oil and Low-Carbohydrate Solution for Alzheimer’s, Parkinson’s and Other Diseases (2015), offers a practical guide to using coconut oil and MCT oil and a sensible approach to lowering carbs in the diet to increase ketones, which provide alternative fuel for the brain, including step-by-step guidelines and tasty recipes.